Preservation Treatments are able to provide a permanent solution for masonry cracking, with the use of the Helifix Helibeam system. 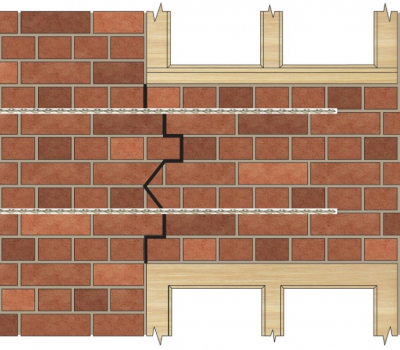 Whereas simple injection methods may lead to further developments of masonry cracking, using the Helibeam system will prevent this by ensuring that tensile loads are redistributed along the masonry. Below we describe how the Helibeam system would be used as a solution for crack stitching, in a standard scenario. The system comprises of 4.5mm, 6mm, 8mm or 10mm Helibars, in lengths of 1m, 1.5m, 2m or 7m, which are bonded into cut slots using Helibond grout. 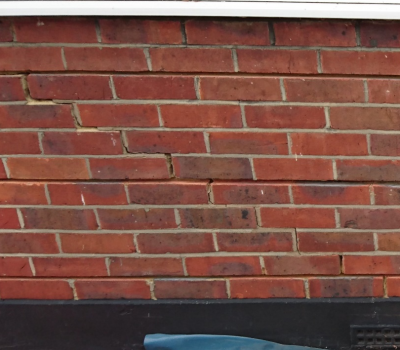 These are placed every 2-6 brick courses, depending on the severity of the cracking. 1. Using a twin diamond blade chaser, with a vacuum attachment, slots are cut into the horizontal mortar beds. These are cut to a minimum of 500mm either side of the crack. 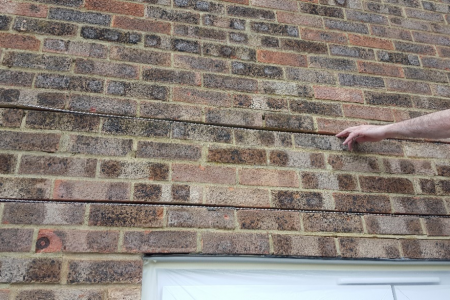 Our Helifix Approved Surveyor will specify the depth depending upon the situation. As standard the slots will be 10mm wide, in order to accommodate installation of the 6mm diameter Helibar. 2. These slots must then be flushed out with water to clean them out. This is an essential step as if the slot is not properly cleaned out, a sound bond will not be made. 3. Using a pointing gun, a bead of Helibond can now be injected to the back of the slots. 4. The Helibar can now be inserted, using a finger trowel to push it into the grout. 5. Another bead of Helibond must now be inserted over the Helibar. This must finish 10-15mm from the face. 6. The vertical crack can now be filled and the mortar bed repointed. After making good, a simple yet effective solution has now been provided which will prevent further development of the crack. The end result should be a fully concealed, non-disruptive solution to the repair, which will greatly reduce the likelihood of cracking nearby. The size of the crack. The proximity to an opening, i.e a window or door. If the crack is close to the corner of a wall. Whether 2 separate cracks are close together. In these instances, our Helifix Approved Surveyor would adjust the above system to fit the situation. What is the Helifix approved installer guarantee scheme? 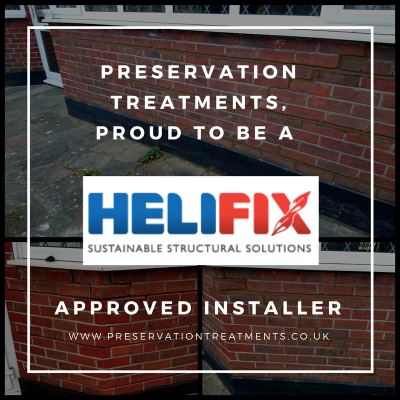 Helifix are so confident that their approved installers will fit the best solution available that they take on the insurance risk of structural repairs carried out using their materials. This is only possible because of the due diligence of the Helifix technical department, who assess all projects applying for guarantees and only give their approval after careful consideration. 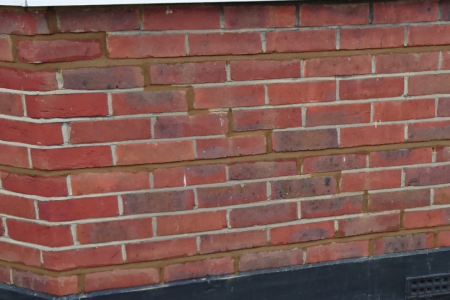 The Helifix system has been specified by Helifix or one of their approved installers. The system has been installed by an approved installer. The entire system, including design and application, has been assessed by the technical team at Helifix and has met their criteria. These measures mean that lenders, buyers, homeowners, commercial and residential clients can access cost-effective and validated structural repair solutions which have passed through one of the best quality control systems in the industry.